Electronic Health Records, which contain all of a patient's medical information, are making it easier than ever to treat, prevent, and even predict certain diseases and conditions. Electronic Health Records are not just changing the way we treat conditions, they are also teaching us how to predict them. Anytime you pay a routine visit to your doctor or go to the hospital ER, hospital staff collect medical information regarding your case. Did you ever wonder how all this data is collected, used, and shared? For hospitals and medical staff to stay on top of common conditions, patient records, and even disease outbreaks, medical data about individuals needs to keep flowing and changing to organize it into an efficient system. The healthcare system involves the participation of professionals from multiple different disciplines at a number of different stages. At each stage of the treatment process, health professionals generate medical data. At the same time, they need other data from past health professionals. Because medical data is very heterogeneous in nature, conventional IT systems can’t handle and deliver this information efficiently. The concept of Electronic Health Records (EHR) came in to fill this need for an efficient system by providing databases where medical data is stored and constantly updated. EHR gathers all the health information from patient’s demographics, diagnosis reports, radiology data, lab test results, treatments, medicines, allergies, and other relevant pieces of clinical history. In addition to better time management, digitized health records offer better medical information sharing systems between doctors, nurses, pharmacists, lab technicians, and other clinicians. Along with making their jobs easier, it saves countless lives thanks to its efficiency and ease of use. 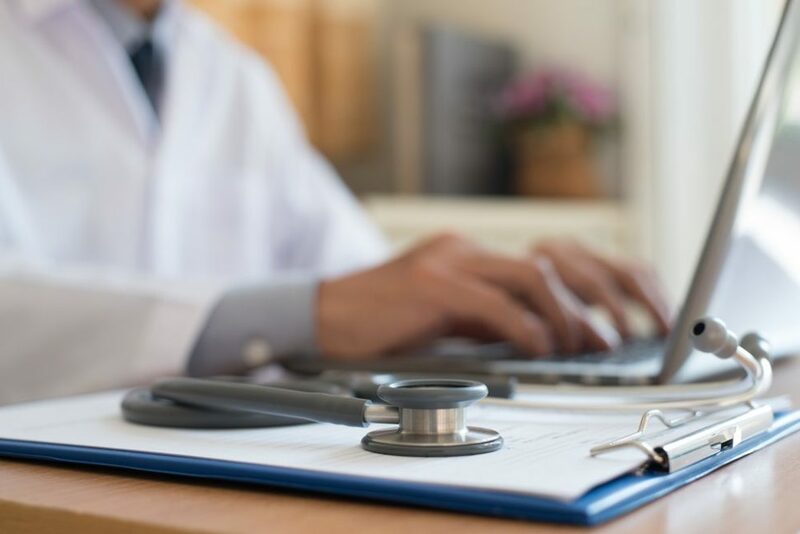 Through EHR, healthcare providers have an easy access point to retrieve useful medical data whenever they need it to make accurate assessments and faster decisions. In the pre-internet era, digital health records were simply a way for doctors to fill in medical charts without using paper. With the advent of cloud-based systems, however, medical files don’t remain on one system. Web-based EHR became an interactive system that redefined the entire healthcare process. Along with making the healthcare system far more efficient, EHRs could also help to spot underlying conditions. A research team from the Vanderbilt University Medical Center demonstrated how EHR can be used to detect undiagnosed genetic diseases in populations. The researchers probed genetic data in EHR to detect symptom patterns that might point to an underlying genetic cause. The VUMC team found that certain genetic variants required 14% of patients to undergo kidney transplants and another 10% liver transplants. According to the research team, had these genetic variants been diagnosed earlier, patients would’ve avoided the need for these transplants. Other than liver and kidney failure, researchers think that latent genetic variants could be behind some other serious health issues such as heart failure, stroke, and infertility. Again, early diagnoses could prevent complication and present a higher chance of success. This new method of gleaning useful genetic data from EHR gives new insights into the workings of inherited diseases. It will also provide a basis for further research to investigate the role of genetics in certain health issues. As crucial as EHR is to the efficiency of healthcare systems, their implementation is a hard task that requires material and human resources that not all hospitals can afford. According to a study on this issue, hospitals have a lot to do to achieve interoperability, with only a third having implemented comprehensive EHR systems. Could EHR-based genetic investigation become a common medical procedure?